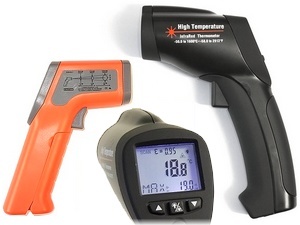 TMS Europe stocks a selection of hand-held Infrared Thermometers (sometimes known as Hand-held Infrared Pyrometers), designed for non-contact measurement. 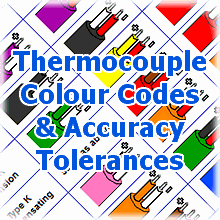 Infra-red thermometers give a quick method of measuring surface temperature of an object without using a contact probe. They have a built in laser to aid targeting and some models have adjustable Emissivity, for use with a wider range of materials. Since we are a UKAS accredited calibration laboratory, many of these models come UKAS calibrated at a number of useful temperatures across their working range for certified accuracy. We can also calibrate these, and other infrared thermometers, at the customer’s required temperatures between -30°C and 1500°C (depending on the instrument’s range).